Every account is personalized to the needs of each client, so you can always decide to use us as much or as little as you see fit. Our billing is based upon usage and there is no long-term commitment, making it easy to alter our services at any time, whether you want them reduced, expanded, or stopped. At LaBell Exchange, we understand our Anaheim customers want telephone answering services that are both reliable and professional. Our level of service is so high that we've been honored with the industry's most prestigious award, ATSI's Award of Excellence, for seven consecutive years. Helping us to win this award are our exceptional phone operators who are all highly skilled and trained at working with callers, providing customer assistance, answering questions, conducting surveys, scheduling appointments, taking messages, and more. Our company serves a diverse array of industries, including municipal water districts, healthcare organizations, medical/dental offices, legal/attorney practices, and service companies (bail bonds, equipment rental, plumbing, towing, HVAC), in Anaheim and throughout Southern California. Because each business is unique, we work closely with each client to develop a custom script and telephone answering protocol, and continually check in to ensure that their answering service needs are being met. As a result of our flexible plans, cost-effective rates, and exceptional phone answering services, it is no wonder that LaBell Exchange has thousands of satisfied clients. To take advantage of our skilled call center work at your Anaheim business, call LaBell Exchange today. LaBell Exchange is highly regarded throughout Southern California for our outstanding customer service. A 24/7 call center, we provide all of our Anaheim-based clients with tailored phone answering and call center features to meet their specific needs. Whether you're in the medical, municipal, legal, dental, property management, or service industry, our call center is committed to treating both you and your callers with professionalism and respect. We've been recognized by our industry's trade association, the Association of TeleServices International (ATSI), for our quick response time, accuracy, and overall customer service when answering phones. Our call center services for Anaheim businesses can be tailored to include information screening and surveys. At LaBell Exchange, our phone operators are highly skilled in guiding callers through questionnaires, surveys, and interviews. We can also respond to frequently asked questions or direct callers to the appropriate department when further assistance is needed. With almost forty years of experience in the call center industry, we're very prepared to assist you on your information screening and survey needs. Our projects have varied from assisting companies in determining customer eligibility for product recalls to assisting attorneys on class action lawsuits. 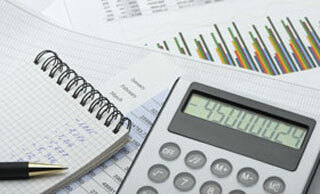 We can also record calls and gather analytics to help you measure overall project performance. At LaBell Exchange, our phone operators are carefully selected, rigorously screened, and thoroughly trained to answer phones, take leads, and guide callers through sign-ups, registrations, and orders. We provide inbound telemarketing and take orders as part of our call center services. Our Anaheim clients can decide whether they prefer orders to be inputted into their company system or into our own internal website. If they need help with their order form, we'll work with them to create a custom order form and submission process. Completed orders can be submitted instantaneously or sent in batches to either a fulfillment center or other company department/employee. To ensure accuracy, our phone operators always repeat back information and request verification when speaking with callers. Our call center provides phone answering services with dispatching for businesses and organizations in Anaheim. This service is ideal for companies that need to be able to respond to urgent scenarios on a moment's notice, such as plumbers, roofers, air conditioning companies, ambulance companies, roadside assistance businesses, and locksmiths. To accommodate their needs, our operators answer calls within the first three rings and carefully follow each company's specific protocols. We are always highly sensitive to the urgency of the caller's requests and are careful to capture all of the information needed to compete their request. With this information, we connect with the field or on-call serviceman via cell phone or radio to dispatch their services and then reassure the caller that help is on the way. Call today to learn more. 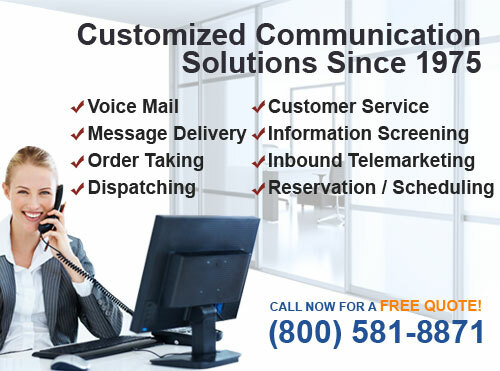 Since 1975, LaBell Exchange has provided dependable message taking and advanced message delivery services for our Anaheim clients. Our experienced phone operators are highly skilled in answering phones, typing information, and taking/delivering messages. We take great pride in the professional and personalized treatment we provide our clients and their callers. Our goal is to treat each caller with courtesy and respect, and our operators always repeat back and verify information that the caller provides to ensure that the correct message is taken. You can choose to have your messages delivered by text message, email, fax, or phone. We can also establish phone answering protocols on how to handle callers during emergencies and special situations, and how to keep the caller on the line until contact with the appropriate person is reached. We provide each of our Anaheim clients with a unique voicemail account. This account can be customized to forward messages or receive message notifications via email, phone, or text. Because the call center needs of different industries vary greatly, we offer a wide variety of voicemail and phone answering features. For many of our Anaheim customers, we integrate both automated attendant and live operator services into their account. They also frequently request personalized voicemail trees, which can include upfront greetings, recorded information about their company/hours/location, connections to specific departments/employees, emergency contacts, and an option to speak with a live operator. Your designated account manager will work with you to create a personalized voicemail account for your Anaheim business. Our call center is open 24/7, and your voicemail messages will be retrievable at any time and from any location. 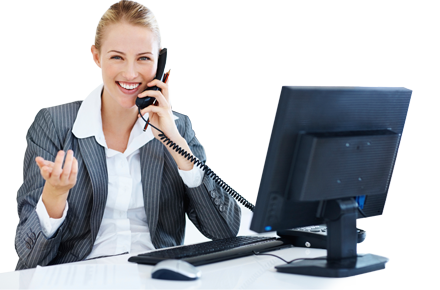 Our call center provides our Anaheim clients with virtual receptionist services at a cost-effective price. This service is available throughout the day as well as after hours, during the weekends, and over the holidays. It features our live operators serving as your receptionists by answering your calls, following your specified greeting and script, taking messages, forwarding calls, scheduling appointments, taking reservations, and more. Our talented phone operators have assisted clients on projects ranging from seasonal flu shot campaigns to financial/retirement planning seminars. By presenting ourselves as a member of your office staff, we help smaller and start-up companies present themselves as a larger or more established organization.